An inquest into the death of two people at FMG’s Rail Camp One has heard a surveyor error meant the buildings were given the incorrect wind region assessment. The building plan design was approved for wind region “A”, when the camp was supposed to be built to wind region “C” strength. 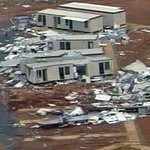 42-year-old Craig Raabe and Perth mother-of-two Debra Till were killed in 2007 when category-five Cyclone George ripped through the Pilbara mining camp, lifting dongas and flipping some over. On Tuesday, the West Australian Coroner’s Court heard from the former surveyor of the Shire of East Pilbara, Chad Harvey. 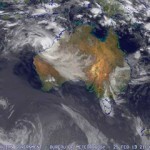 He told the court a series of errors with the buildings’ coordinates meant he incorrectly determined the site was in a rural area with low cyclone risk, The West Australian reported. Harvey said he visually plotted the area he thought the dongas were being built on a map after seeing the geographical coordinates on a colleague's computer screen. "Do you accept now that was the incorrect wind region?" counsel assisting Philip Urquhart asked. "Yes. That's what I've been advised," Harvey replied. "I put it in the wrong spot." Fourteen witnesses are set to give evidence at the ten-day inquest including FMG. Last year FMG was cleared of any wrongdoing in relation to the two deaths. The Supreme Court rejected a WorkSafe appeal over the incident, instead upholding a previous decision that Fortescue had not failed in its duty of care. The contractor that installed the dongas, NT Link, was given immunity by WorkSafe as part of the court case.